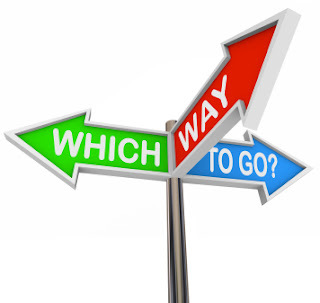 GUIDE TO MAKING RIGHT DECISION REGARDS JAMB CHANGING OF INSTITUTION AND COURSES. It's another admission year. UTME has come and gone. We now decide our next move having seeing our results. That next move is JAMB changing of institutions and courses. This has to be done before schools start selling their post UTME forms. You're confused about which schools you should consider at this juncture. Note that, you're not the only one who seems down to making the right decisions. It's a general concern whether you have a higher score or lower one for that matter. More than a hundred students found themselves in the same dilemma which we'd helped them with. If you care to know how we'd helped others, read this post to the very end for your first aid guide to a successful and error-free changing of institution and courses. Why Students do Change of Institutions and Courses? Ordinarily, it's easy to believe that the only reason admission seekers consider changing schools is because of low marks in UTME. No! Candidates take to this for other reasons. Let's look at those reasons that may lead you to changing of institutions and courses. If you scored lower mark than expected. In this case, you want to go for a school who can accept your mark. If you score higher than expected. This happens when a candidate had thought he would not perform to the expectation of a school but surprisingly, he got mark required by the school. He now decides to go back to the school. If at the registration center, they mistakenly chose a wrong school or course for you or you earlier chose wrong school. If they chose wrong UTME subjects for you. You may need to change to course that is appropriate for the combination. See: What Candidates Should Do With Wrong Subjects Combination. If the earlier course requires higher mark than you had in JAMB. Then you'll have to change to a course perfect for your score. If suddenly your school just increase the tuition or you later realize you can't afford a school tuition. 200 and above is generally the most look-up-to mark for any student to gain admission. Yet with good plan and chasing of the right schools, you can still secure admission with less mark than 200. From experience, some schools will not accept any mark less than 200. University of Ibadan, Obafemi Awolowo University, Ile-Ife, University of Benin, University of Lagos are a few of such universities that will only accept 200 and above from admission seekers. Even if JAMB declared any mark less as the national cut-off mark, these institutions would insist on 200 and above. If you fall into this category and you scored a mark less, consider changing your school. Ladoke Akintola University (LAUTECH) accepts 160 and above for all their courses. Note: I will keep updating this list if you can visit us again. You can subscribe to our post below the page to receive updates to your email. Meanwhile, with 180 and above, you can still consider changing to polytechnics. Polytechnics generally will accept 150 and above. Hence, if chose any as first choice, you will be given an edge over those who chose them as second choice. Ok you only got a mark between 150 and 179 but you still prefer universities. Sincerely, Federal University of Oye Ekiti was the only university in the past that accepted 150 above. You can give them a trial. However, it should be noted that this school doesn't do Post-UTME test rather they do screening. Hence, SSCE result must be of higher grades if you'll eventually be offered admission with such a lower UTME score. Also, cut-off mark is subject to change any time. Hence, you may not be lucky if the school eventually changes to higher cut off mark this year. I don't recommend them, if you don't have more As and Bs in your O'level result and your JAMB score is not higher. Majority of Private owned and newly created universitites will consider you for post UTME if you just score 150 or a bit higher. List of the Universities to change to if you score less than 100 to 149. All hope is not lost if you scored less than 150. If you still insist on universities, then don't bother. Some private universities will accept any candidate provided he wrote UTME. In fact, don't believe what you read online about these private institutions. They can consider any mark once you write UTME. Just visit the school and tell them what you want. One school recently announced 140 for her post UTME. When I called to tell them I had a student who wanted to obtain their form with 125, they asked us to pick up the form and leave the rest to them. Also any private owned Polytechnic can be approached with a mark btween 100 to 149. You must have heard that some candidates are changing their polytechnics or colleges of education to first choice. Polytechnic as first choice? College of Education as first choice? You have four choices in UTME. 1st, 2nd, 3rd, 4th. Some candidates just believe that the 1st choice must be University, 2nd should be Poly and so on. NO! You can select your school in any way you want. Now, if you score less than 180 but you can't find universities accepting such for your intended course, consider changing to Poly you'd chosen as 2nd or 3rd - by bringing it to the first. This is recommended if you'd scored between 150 and 179. Such polytechnics consider those who chose them as first choice before others. The same is applicable to colleges of education. I believe this piece will help you make the right decision. If however you're not cleared with anything or you want further explanation, drop a comment below.